After a day's delay, the pigeons loose on Saturday noon 13.00 hours. It surprised me that the pigeons as early discharged were given the hard Southwest wind that they had making the pigeons on the shorter distances by and sure enough against a half 10 I heard that there is that there is plenty of pigeons were in the South of the country. Later in the evening, I saw that there were even to 22.40 already a dove had fallen in Rijssen on 20 km closer So but fast the outdoor lighting and but wait but unfortunately after a whole night long wait came the next morning at 06.48 my 1e get the 14-1741601 The Veense Blue daughter Cabal Giant G & J Villaflor to consequences. 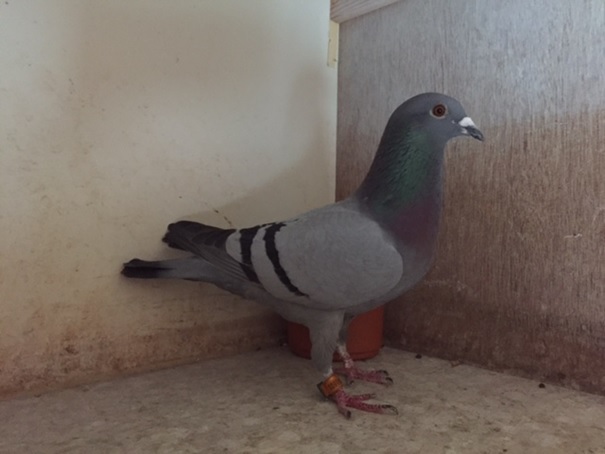 Still good for a 312e National against 21.204 pigeons again This Country schoort they 3 wonderful prizes this year,with which they like last high again will end up at the ACE pigeon Championships.